One extremely unwelcome development in the war on drugs is that an increasing number of young adolescents (aged 11 to 17) are involved in drug smuggling and related activities, according to U.S. Drug Enforcement Administration and U.S. Immigration and Customs Enforcement (ICE). Most of the children are Hispanic, and many hold US citizenship. They are enticed by the lure of “easy” money and know they that, if caught, they can be tried only as juveniles. The Gulf cartel and the Zetas reportedly pay adolescents an average of $500 to smuggle drugs, and $1,000 to guard a kidnap victim for a month. In southern California, the number of arrests of adolescents has risen sharply, with charges ranging from drug trafficking to extortion and kidnapping. Where are most drug tunnels? Several major cross-border drug tunnels have been unearthed in the past few months, including one linking warehouses in Tijuana and San Diego which contained 32 tons of marijuana. This tunnel, 600 meters long, was particularly sophisticated and used electric rail cars. More than 70 cross-border tunnels have been found since October 2008. Press reports such as Captured Drug Kingpin’s Pets Strain Mexican Zoos have highlighted the problems resulting when rare and dangerous animals are confiscated from drugs cartel leaders. Several major cartel figures have amassed extensive private collections of exotic animals, from ostriches and parrots to monkeys, tigers, lions and giraffes. For example, when Jesús “The King” Zambada, a powerful member of the Sinaloa drug cartel, was arrested in mid-2011, authorities had to find new homes for several hundred animals, many of them exotic species. The nation’s zoos are struggling to cope with the influx of so many unexpected new arrivals. Drug capos do not view animals only as a status symbol. They are also a means to hide drug shipments. Animals have also regularly been used in drugs trafficking. In recent years, grisly finds have included frozen sharks stuffed with cocaine, cocaine-fed snakes, and even liquid cocaine in shipping containers used for tropical fish. Wildlife trafficking in Mexico: how many wild parrots are illegally captured each year? Which Mexican communities have the highest drug war death rates? Other Comments Off on Which Mexican communities have the highest drug war death rates? In a previous post we noted that big Mexican cities with populations of over 500,000 have drug war death rates about 40% higher than the rest of Mexico. However the highest rates of all are in small northern municipalities which have experienced very high levels of drug violence. Mier, Tamaulipas was the most dangerous municipality in 2011 as it was in 2010. Though the number of drug war deaths in the town of 4,768 (2010) decreased from 93 in 2010 [note 1] to 50 in the first nine months of 2011 [note 2], it still led the country with 1,398 drug war deaths per 100,000/yr [note 3]. This is 91 times the rate for all of Mexico which was 15.3 in 2011 and also over ten times as dangerous as Acapulco, the large city with the highest rate of drug violence. Actually the death rate per population for Mier is probably higher because the mayor estimates that a third of the population may have fled the violence-prone town [note 4]. Mier is only about eight kilometers (five miles) from the Texas border and roughly midway between Nuevo Laredo and Reynosa. The municipality may be a bit more peaceful now that the Mexican military has occupied the town. Guerrero, Mier’s immediate neighbor to the northwest with a population of 4,468, ranked second with a death rate of 1,045 or roughly 68 times the average. Both Guerrero and Mier are located between two warring drug cartels, the Zetas and the Gulf Cartel. Mier’s other neighbor along the Rio Grande, Miguel Alemán, fared somewhat better. Its death rate dropped from 407 in 2010 to 114 in 2011; but its 2011 rate was still over seven times the national average. The data reveal that municipalities along the border between Nuevo Laredo and Reynosa are among the most dangerous in all of Mexico. Interestingly, the rate for Reynosa itself was only 11 or about 27% below the average. In third place is San Fernando, also in Tamaulipas, with a death rate of 680, about 44 times the average. This community of 57,220 suffered 292 deaths in 2011. Over half of these deaths were discovered in mass graves of Central Americans who were trying to immigrate to the US, but were kidnapped and murdered by drug cartels. Next on the list are three small municipalities in Chihuahua – Guadalupe (rate of 496), Gran Morelos (373) and Cusihuiriachi (369). The 2011 death rates in these towns were 24 to 32 times the national average. While the rate for Guadalupe declined 42% since 2010, the rates for Gran Morelos and Cusihuiriachi were up 50% and 150% respectively. As mentioned in an earlier post, the State of Chihuahua had the highest 2011 drug war death rate among Mexico’s 32 states. Drug war death totals in small communities can change dramatically from year to year. For example, Saric, Sonora with a population of 2,703 had 30 deaths in 2010 and zero in 2011. General Bravo, Nuevo Leon had 18 deaths in 2010 and zero in 2011 while Yecora, Sonora had 18 deaths in 2010 and only one in 2011. The number in General Treviño, Nuevo León went from 21 down to only two, but it still had the 8th highest rate among Mexico’s municipalities. On the other hand, drug war deaths in Boca del Rio, Veracruz went from 2 in 2010 to an alarming 94 in 2011. This resulted in a rate increase of 6,167% and a rate six times the average. The rate for Zihuatanejo de Azueta, Guerrero increased by 650%; that of Yurécuaro, Michoacán went up by 452% while that for Cosalá, Sinaloa was up 317%, giving it a rate 13 times the average. Zihuatanejo de Azueta is different than many of the other communities with very high drug war death rates because it has a rather large population of 104,609 and includes the famous international resort of Ixtapa. The number of drug war deaths in the municipality went from 16 in 2010 to a very disturbing 90 in 2011, giving it a death rate of 115, almost as high as Acapulco’s rate of 134. Certainly, the high drug war death rates in Zihuatanejo and Acapulco have damaged their tourism industries. Twenty municipalities had drug war death rate in 2011 higher than 100 per 100,000/yr or about seven times the national average (see table). Two of these are the large municipalities of Ciudad Juárez and Acapulco. The 20 communities are spread across six northern and western states: six in Chihuahua, five in Tamaulipas, three in Guerrero, two in Sinaloa and Michoacán, and one each in Sonora and Nuevo León. Before randomly traveling in areas of these states, it would be a good idea to check local media and bulletin boards for indications of recent drug violence. Other Comments Off on Can Mexico’s decline in cacao production be reversed? In a previous post, we looked at The geography of cacao production in Mexico. and saw how the area under cultivation and production have both fallen sharply since 2003. This post examines two recent projects that aim to reverse this recent trend of a steep decline in Mexico’s cacao production. In addition, Sagarpa is introducing improved methods of cultivation, harvesting and processing. The Secretariat is supporting a multi-phase plan to turn Mexico into the leading producer of organic cacao in the Americas. In the early phases, Maya Biosana will plant one million cacao trees to create 500 hectares (1200 acres) of irrigated orchards in 12 communities near Chetumal in Quintana Roo. The plan is to follow-up with similar numbers of new trees on additional land annually for another three years. The trees are expected to yield 2.4 metric tons of cacao per hectare (destined for high quality chocolates) and provide up to 2,000 additional jobs. [Note that the project is not without its critics, and we intend to write more about this in a future post]. One specific example of a project helping cacao farmers is the Chontalpa Cacao Presidium, a project initiated by the Slow Food Foundation. Tabasco’s most productive region for cacao is Chontalpa, which has ideal conditions for cacao cultivation and is the area where the criolla variety of cacao is thought to have originated. Traditionally, farmers in the Chontalpa area have sold their cacao to intermediaries, who then market it. However, in recent years, groups (co-operatives) of farmers have been formed, enabling farmers to cut out the intermediaries and get higher prices for their harvest. The cooperatives allow joint purchasing and other economies of scale. Serious flooding of cacao-growing regions in 2007 made it difficult for farmers to harvest and trade the cacao they had grown, and also helped spread the fungus Monilia roreri in their plantations. Many farmers gave up, sold their land and left for a new life elsewhere. 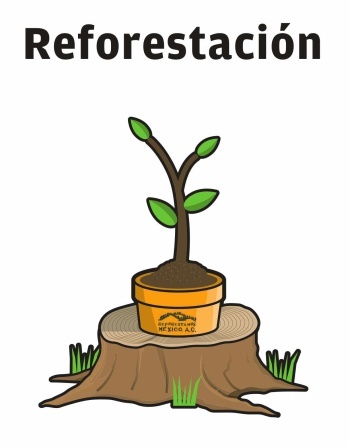 The Chontalpa Cacao Presidium was launched in September 2008 to help farmers rebuild the sector and introduce organic certification and other modern developments. Organic certification was obtained, which led to higher prices on the local market. 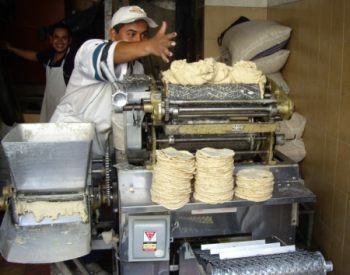 The quality of beans was improved by using better post-harvest fermentation and drying methods. This Chontalpa project currently benefits 18 producers, members of cooperatives in the Cárdenas and Centro municipalities. It helps farmers market the cacao directly in Mexico (and more recently in Italy) without the need for any intermediaries. The long-term objective is to establish a facility to produce semi-processed cocoa products. Drug related violent deaths during the first nine months of 2011 increased by about 13% compared to 2010. Data released by the Office of the President in January 2012 indicate that from January through September 2011 Mexico had a total of 12,903 drug war deaths. This is a rate of about 15.3 per 100,000 people per year [2011 rates were adjusted because data are available for only the first nine months of the year] compared to 13.6 in 2010 and 7.55 in 2009 [“Mexican drugs war murders data mapped”]. While the rate of increase declined significantly in the past two years, still drug violence is increasing rapidly. The geographic pattern of drug violence is still mainly concentrated in northern border states and some western states. Chihuahua was still the most violent state with 2,289 deaths in 2011 (Jan-Sept) for a rate of 90 deaths per 100,000 per year. Other states with high rates were Guerrero (61), Durango (58), Sinaloa (53), Tamaulipas (45), Nayarit (42), Nuevo León (33), and Coahuila (28). Note that four of these states are along the border and four are in western Mexico. At the other end, Yucatán had only one death for a rate of 0.07. Other states with low rates were Tlaxcala, 0.8; Puebla, 1.22; Querétaro, 1.24; Campeche, 1.62; Chiapas, 1.73; Hidalgo, 1.75; and the Federal District (Mexico City), 1.83. It is very interesting that the drug war death rate in the capital city was one of the lowest in the country and less than one eighth the national. A future post will investigate drug war death rates in Mexico City. Among border states, drug war death rates decreased significantly for the western states. Baja California was down 38%; Sonora down 36%, and Chihuahua down 31%. Before 2010, Baja California and Sonora had death rates over twice the national average largely because of high death totals in Tijuana and Nogales. However for 2011 the rates for Baja California and Sonora were 31% and 22% below the national average. The worst drug violence in these two northwestern states might be a thing of the past. The eastern border states all suffered increases. Coahuila was up 99% and Nuevo Leon was up 143%. Both now have death rates over twice the national average. Tamaulipas’ already high rate of 37 in 2010 increased 22% to 45, almost three times the average. Clearly the battleground of drug cartel clashes along the border has shifting to the east. Violence is up in some western states where it already was quite high. The rate in Guerrero increased 80% to 60 deaths per 100,000 people, four times the national average. Nayarit suffered an increase of 21% to a rate 42, almost three times the average. Smaller, but still significant, increases were registered in Colima, up 24%, and Michoacán, up 40% putting these two states above the average. On the other hand, the some of the violent non-border states experienced declines. The rate in Sinaloa declined 19%; but with a 2011 rate of 53 it is still three and half times the average. Morelos was down 18% putting it just above the average. Drug violence increased very rapidly in some non-border states that were relatively peaceful through 2010. The drug war death rate in Zacatecas increased 361% while that in Veracruz was up 302%. While these increases are alarming, these two states still had rates below the national average in 2011. Jalisco suffered an increase of 40%, but its 2011 death rate of 11 was still less than three-fourths of the average. The State of México was up 24%, but its rate was still less than a third the average. In conclusion, drug violence in Mexico continued to increase in 2011. The violence appears to be mostly concentrated in a wide geographic arc formed by the border states and those in western Mexico. Within this region some areas are suffering rapid increases while drug violence is declining in other places. It is not clear how this pattern will change in the years ahead. To get a clearer picture of the current pattern, in future posts we will investigate trends in drug violence among Mexico’s 2,458 municipalities. It is becoming harder and harder to keep up with the ever-changing landscape of drug cartel territories. 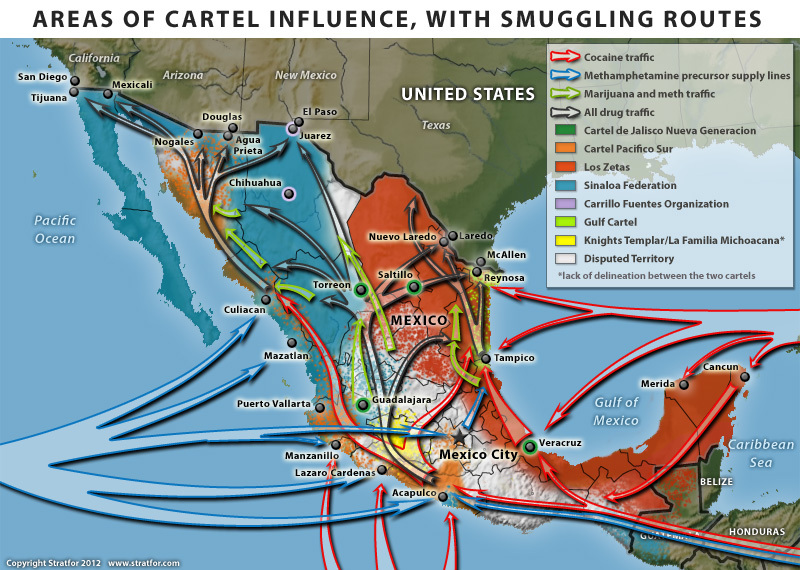 As the government crack-down leads to more and more high-profile arrests, some cartels are struggling to reorganize and lose ground (literally) as rival groups step in to take control. This has resulted in drug-related violence in the past year spreading to new areas, accounting for the serious incidents reported in cities such as Guadalajara and Acapulco and in several parts of the state of Veracruz, even as violence diminishes in some areas where it was previously common. (The patterns of drug-related violence are analyzed in depth in several other posts tagged “drugs” on this site). According to security analysts Stratfor in their report entitled Polarization and Sustained Violence in Mexico’s Cartel War, polarization is under way among Mexico’s cartels. Smaller groups have been subsumed into either the Sinaloa Federation, which controls much of western Mexico, or Los Zetas, which controls much of eastern Mexico. Los Zetas, now operating in 17 states, control more territory than the Sinaloa Federation, and are more prone to extreme violence. 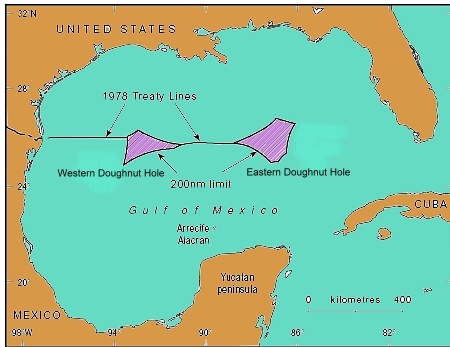 They control much of eastern Mexico. Sinaloa Federation, formerly the largest cartel, currently in control of most of western Mexico. They have virtually encircled the Juárez Cartel in Cd. Juárez. Their production of methamphetamine has been disrupted by numerous significant seizures of precursor chemicals in west coast ports, including Los Mochis and Mazatlán (Sinaloa), Manzanillo (Colima), Puerto Vallarta (Jalisco) and Lázaro Cárdenas (Michoacán). As a result, the Sinaloa Federation appears to have moved some of its methamphetamine production to Guatemala. Gulf Cartel, which still has important presence along Gulf coast, but weakened due to infighting and conflicts with Los Zetas. Knights Templar (Los Caballeros Templarios) comprises remnants of La Familia Michoacana (LFM), which is now almost defunct. Other former LFM members joined the Zetas. Independent Cartel of Acapulco is small and apparently weakened. Alongside these cartels, three “enforcer” groups of organized assassins have arisen: the Cártel de Jalisco Nueva Generación (enforcers for the Sinaloa Cartel), La Resistencia (Los Caballeros Templarios) and La Mano con Ojos (Beltrán Leyva). Drug violence is largely concentrated in areas of conflict between competing cartels. The major trouble spots are Tamaulipas (Gulf Cartel and Zetas); the states of Durango, Coahuila, Zacatecas and San Luis Potosí (Sinaloa Cartel and Zetas); Chihuahua (Juarez Cartel and Sinaloa Cartel); Morelos, Guerrero, Michoacán and State of México (Cartel del Pacífico Sur, aided by Zetas, against Los Caballeros Templarios). One possible strategy (for the government) would be to stamp out all smaller groups until a single major group controled almost all the trade in drugs. At this point, so the argument goes, incidental violence against third parties would drop dramatically. Such a simplistic approach, however, fails to tackle the economic, political and social roots of narco-trafficking. Meanwhile, there are some signs that Los Caballeros Templarios, the breakaway faction of LFM, based in the western state of Michoacán, wants to transform itself into a social movement. This is presumably why it has distributed booklets in the region claiming it is fighting a war against poverty, tyranny and injustice.